Bleed Off Kit - Dial Manufacturing, Inc. Prevents scale buildup and algae by effectively changing out the cooler water. Designed to eliminate approximately 90% of mineral buildup caused by evaporation. 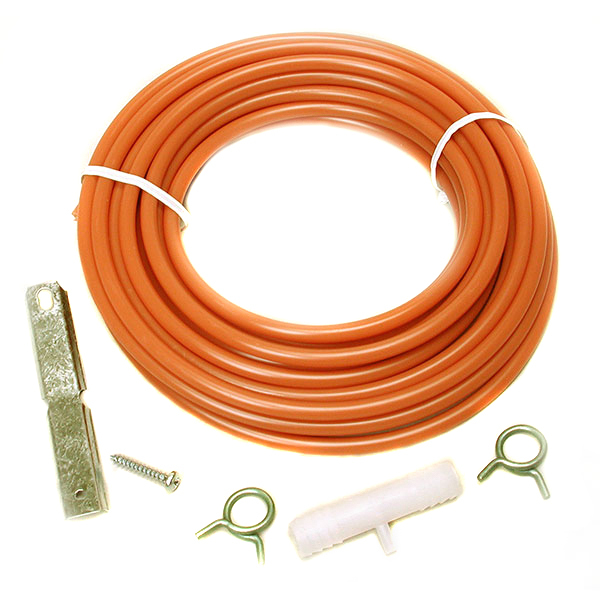 Heavy duty tee will not corrode and easily connects to existing pump hose. Rate of bleed varies with pump pressure and bleed tee orifice size.